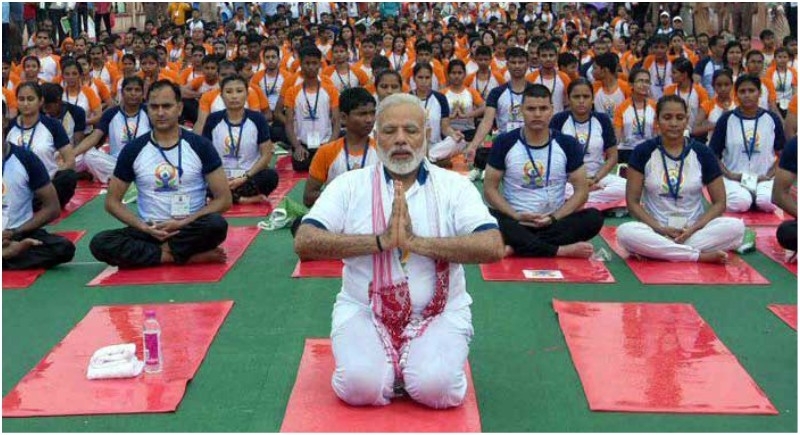 Dehradun, June 14: Exactly a week is remaining for International Yoga Day and this year Uttarakhand’s capital Dehradun has been selected for the main event of this day. PM Modi will be participating in this event by performing Yoga. And also for this, the state government has staring its preparation. Tourism, Irrigation departments (combined target): 10,000 participants. One of the unique features is that nearly 6000 students are targeted to participate in the vent for this the education department has been ordered to register 6000 students from various cities. Besides government departments, Mahila Mangal Dal and Yuvak Mangal Dal volunteers have been given a target of ensuring participation of 3,000 people. Yoga guru Ramdev’s Patanjali Yogpeeth, Gayatri Pariwar and Dev Sanskriti University, a private university, have been entrusted with ensuring participation of 20,000 people. Secretary AYUSH RK Sudhanshu said that 16 parking arrangements have been made outside the venue. There are also 50 toilets of 10 units, 40 tankers of 3000 liters have been arranged at the parking spot. Entry points of the venue, exit point, signage of public facilities are being replaced. He said that apart from this deployment of 25 ambulances, medical posts are also being made. A thousand buses have been arranged for Haridwar, Rishikesh, and Dehradun. Route chart has been created. It is decided in the meeting that on June 18, rehearsals will be done with group leaders and nodal officers.